Till yesterday, the IPO was oversubscribed 2.33 times. New Delhi: The initial public offer of Godrej Agrovet was oversubscribed 90.18 times so far on the last day of bidding today. The IPO to raise around Rs 1,157 crore received bids for 1,62,56,99,712 shares against the total issue size of 1,80,27,464 shares, data available with NSE till 1545 hours showed. Till yesterday, the IPO was oversubscribed 2.33 times. Godrej Agrovet earlier this week raised a little over Rs 341 crore from anchor investors. The issue comprises fresh issue of shares worth Rs 291.51 crore besides an offer for sale worth up to Rs 300 crore by Godrej Industries and sale of up to 1.23 crore shares by V-Science. The price band has been fixed at Rs 450-460 per share. At the upper end of the band, the sale would fetch around Rs 1,157 crore. 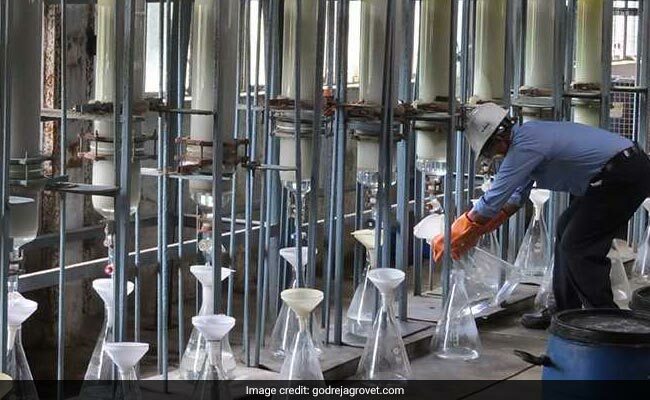 Godrej Industries owns 60.81 per cent in Godrej Agrovet, which is an agri-business company with operations across five verticals - animal feed, crop protection, oil palm, dairy, poultry and processed foods. Proceeds of the IPO would be utilised towards repayment of loans and other general purposes. Kotak Mahindra Capital Company, Axis Capital and Credit Suisse Securities (India) Pvt Ltd are managing the company's issue. The shares are proposed to be listed on BSE and NSE.